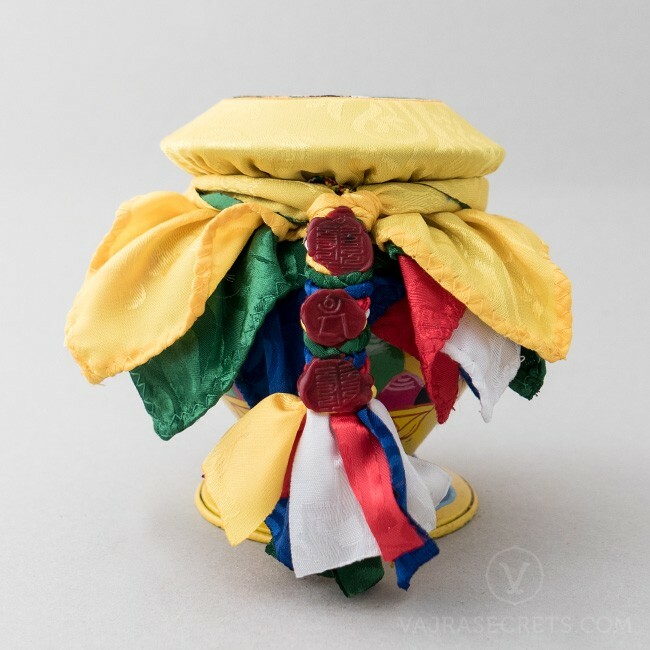 Invite tremendous wealth and abundance into your life with this limited edition wealth vase, handmade, energised and consecrated by His Eminence the 7th Panglung Oracle Thubten Phelgye Jigme Namgyal. Calling upon the wealth-attracting energies of the Dharma Protector Gyenze, these special wealth vases bless the environment, people and bring luck for material gain, prosperity and abundance in all things. Excellent for homes, offices or places of business. Wealth vases are extremely powerful for attracting the energies of wealth and increase. Also known as treasure vases or feng shui vases, wealth vases help provide material gain and prosperity, while blessing and stabilising any environment in which they are placed. On a spiritual level, wealth vases also help in achieving inner wealth, which are spiritual attainments. Originating in India, the tradition of wealth vases arrived in Tibet over 1000 years ago. The ancient Saint Padmasambava gave specific instructions for creating wealth vases, which represent the wealth deities themselves. Tibetans have kept wealth vases for centuries where they are placed in homes, on the altar and even buried in the ground. These days, wealth vases are also kept in offices and places of business for growth and prosperity. 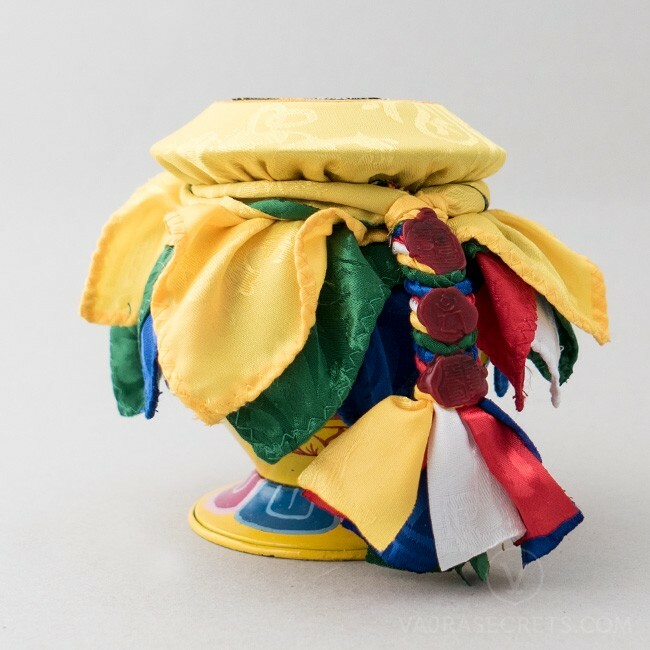 In the Tibetan Buddhist tradition, the making of wealth vases is an elaborate and extensive process and special wealth vases made by respected Rinpoches, geshes and esteemed spiritual personages are highly sought after for the additional blessings and power they are believed to contain. These limited edition Panglung Oracle wealth vases were handmade by His Eminence the 7th Panglung Kuten Thubten Phelgye Jigme Namgyal. 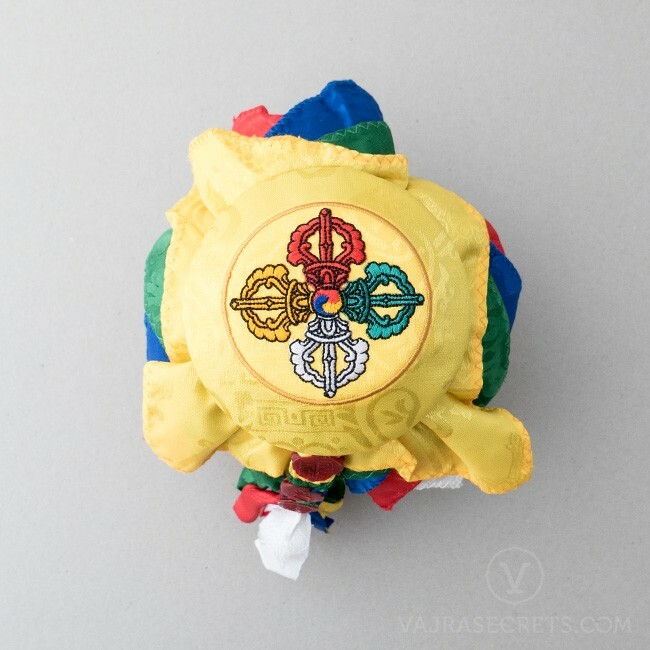 Created according to the tradition of Gyenze, who is Dorje Shugden in an increasing form, they are extremely effective to attract tremendous inner and outer wealth and abundance into your life, home and place of business. A wheel of joy (gankyil) ornaments the top cover and the wealth vase is covered with five-coloured silks embroidered with a double dorje, and sealed with wax. It was then consecrated and energised by the Panglung Oracle in a three-day Yangdup wealth puja from 17-19 July 2015, during which extensive prayers and rituals were performed to invoke and seal the energies of Gyenze and entourage within. Only materials of the best quality, sourced from Tibet, Nepal and India, were used when creating these powerful wealth vases and the greatest care was taken to ensure that the entire process from start to finish, including the cleaning and purification of the wealth vase containers, was according to scriptural methodology. If desired, the wealth vase may be personalised with pearl decorations or other precious items as an offering to Gyenze. All proceeds from the invitation of these wealth vases will be directed towards writing and online Dharma projects conceptualised by H.E. Tsem Rinpoche. Keep in a clean high place. Can be placed on the altar. Can be placed anywhere in the home, office or place of business, except in bathrooms. Do not touch with bare hands. Use a khata to move the wealth vase. Best kept in a casing for protection. 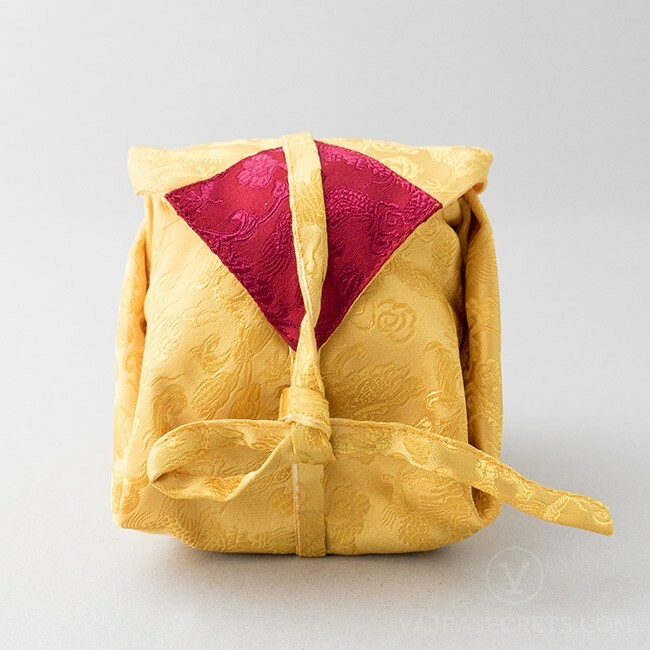 VajraSecrets takes the utmost effort to ensure safe packing and proper documentation of all products prior to shipping. We are not responsible for any damage that may occur if the customs department of your country opens and repacks your shipment.